I have never been a fan of any of the many conspiracy theories promoted whenever a major public tragedy strikes. There is always some element of uncertainty in the data that can be easily exploited to produce an element of controversy, however clear the circumstances. You can also be quite sure that the real conspiracies never get caught simply because they are in the best position to avoid detection. The horror of 9/11 has been no exception. The extraordinary achievement of convincing twenty young men to commit suicide is something that is the product of years of subtle indoctrination and not something that can ever happen easily. Suggesting that these individuals were incidental in any way is ludicrous and suggesting that they were not intentionally directed is equally so. Yet science has uncovered significant thermitic material in the dust of the event. Can we integrate this with what we know, rather than spin a web of nonsense as these articles begin to do? The answer is yes. This event was backed by substantial resources and certainly had the ability to acquire thermitic material and deliver it to the participants. It also made good sense to do this. The operators knew that an intense fire would ignite and that should be sufficient to ignite any such material. No ignition equipment would be necessary, so the risk of prior detection could be minimized. Thus if undetectable, it is an ideal material to bring on board an aircraft. In fact, the odd thing about the event was the immediate production of metallic dust. This is plausible in the face of incendiaries but not for a normal hydrocarbon burn. The dust implied that it was hot enough for the aluminum in the aircraft to ignite. In other words, on the surface of things, it should not have been that hot. A supply of thermitic material solves that problem nicely. And that folks is the only noted anomaly that attends the 9/11 events, and the lab work mentioned in one of the articles below confirms its likely existence. At least there is no particular innocent explanation that I am aware of. Thus we dispose of the unusual fact of the collapse itself and also provide a nasty toxic brew for the site itself. First a partial list of articles promoting conspiracy. I trimmed a few out but go to the site for them. More important is the paper at the end recounting the lab work. Turning 9/11 Realities Upside Down: When the "Big Lie" becomes the "Truth"
Provided below is a selection of essential reading published by Global Research in the course of the last few years. 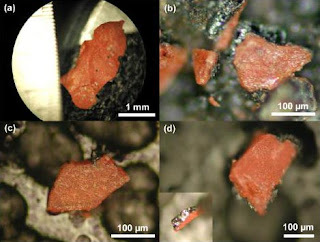 Active Thermitic Material Discovered in Dust from the 9/11 World Trade Center Catastrophe - 2009-04-03 Discovered in the WTC unreacted thermitic material, incorporating nanotechnology, which is a highly energetic pyrotechnic or explosive material. 9/11: Possible Motives Of The Bush Administration - by Dr. David Ray Griffin - 2005-12-02 The attacks brought "benefits". Indeed, several members of the Bush administration publicly said so. The president himself declared that the attacks provided "a great opportunity."